This mask is a 2 piece mask and applies just like a regular sheet mask - wash face, apply mask one piece at a time, leave on for 15 minutes, remove mask, and then an added step is to rinse the remaining essence off. Because this is a mud mask, I would highly suggest to rinse off as recommended! This was such an interesting texture for a sheet mask - it came on regular sheet mask material that was protected on both sides of it; but, you could tell which side should be applied to the face because it had a slightly sticky texture! I thought both pieces of the mask adhered really well to the face - the essence was slimy or slippery on the face. It also had a really nice smell! The mask wore easily for 15 minutes and was so much better than a mud mask to remove! Just peel off the mask and there was a spot or two of green essence left on my face. It was quick to rinse off and I loved the results! My skin was super soft after using this; but, the following morning my skin looked clearer - I had a few blemishes on my chin that were noticeably reduced and my skin just felt less oily overall! I will go pick up another one and use this whenever my skin is feeling really oily or i'm starting to break out! Have you tried a mud sheet mask before?! I think it's such a cool concept! 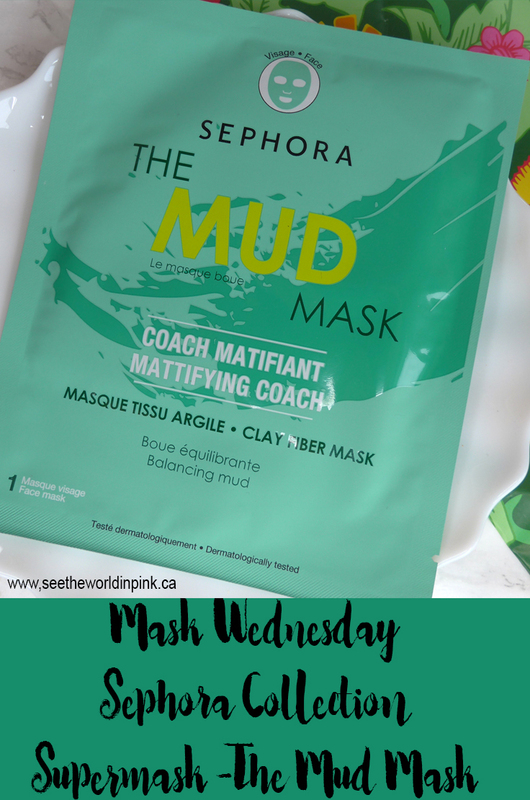 I have this ready to try, but the first mud sheet mask I tried was from Ultru and it was fantastic! Mud sheet masks are so much neater and easier to clean up LOL! Right?! How am I going to go back to a regular mud mask now that I know these are so much easier!